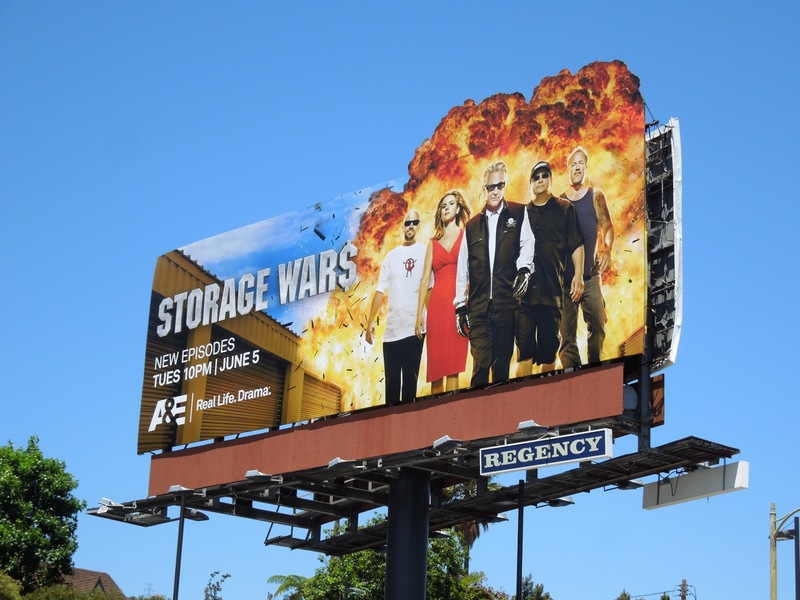 Storage Wars is back with a bang, quite literally, for a third season. This explosive billboard, which pays homage to practically every action movie ever where the heroes walk calmly towards the camera with fiery balls of fury erupting behind them, is a nice way to grab attention for the series where professional treasure hunters bid for the contents of abandoned storage units upon seeing them for a very limited time. In A&E's regular location along Sunset Boulevard, this eye-catching billboard was snapped on June 5, 2012. 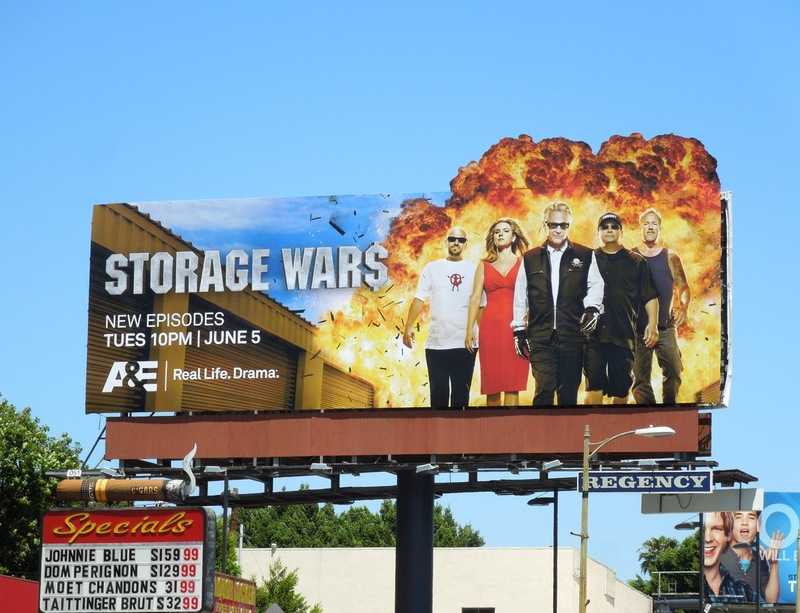 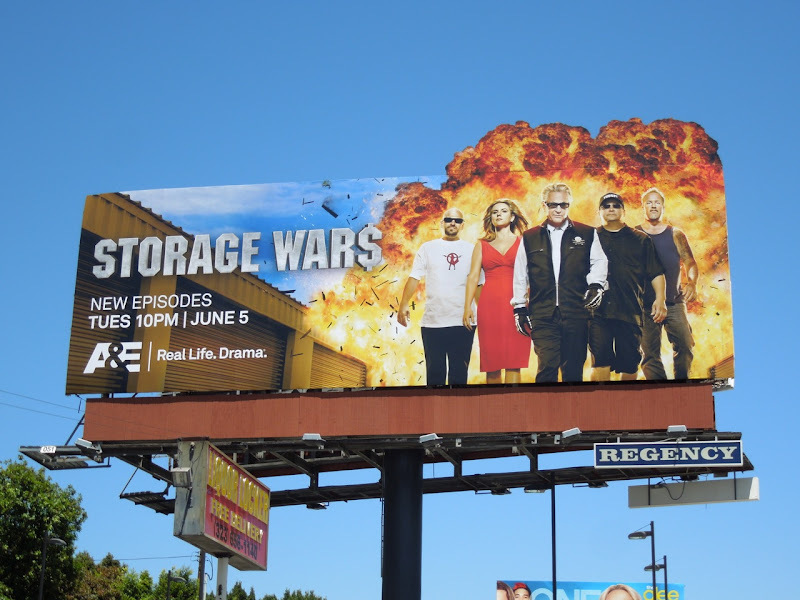 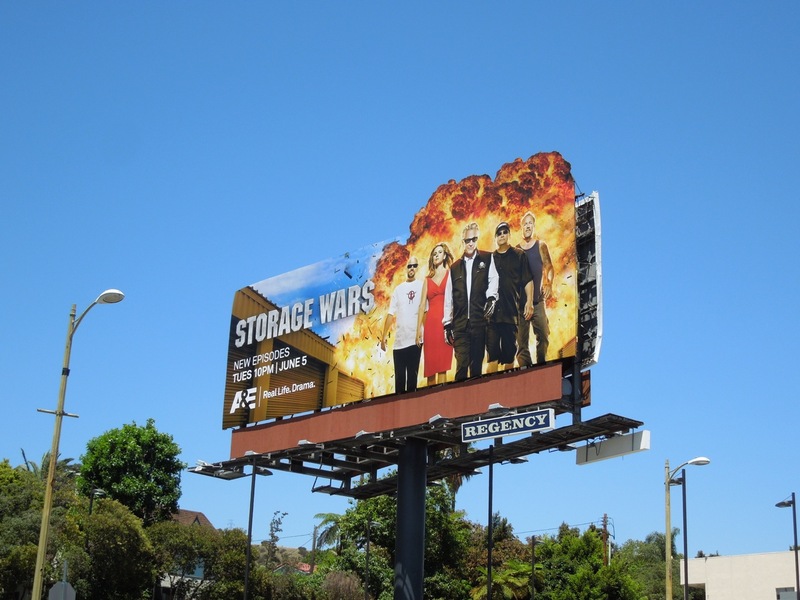 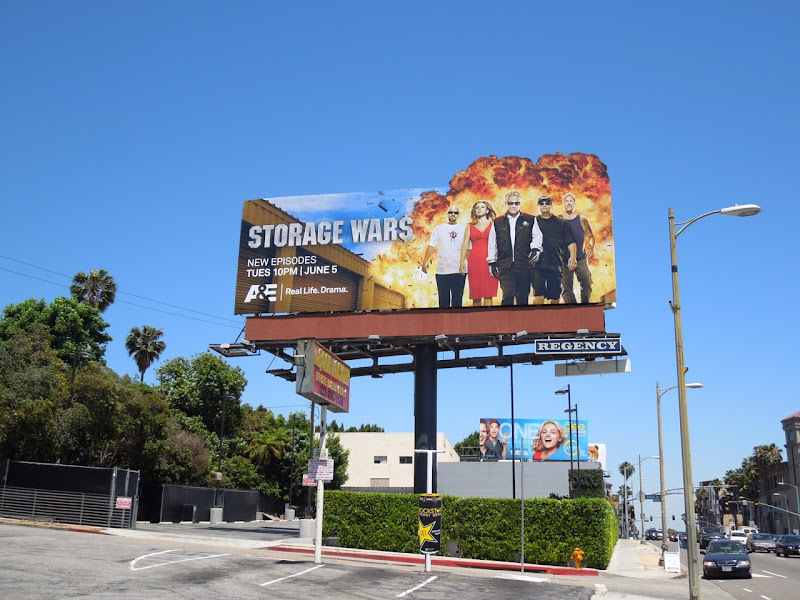 If you're a fan of the show, be sure to also check out the billboard for Storage Wars season one and season two gambling themed ad.